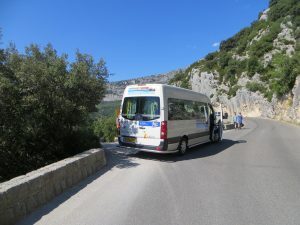 The Service d’Aide Côte d’Azur has plenty to offer to persons with reduced mobility. Most important of all, comfortable and well integrated accommodation: there are nine mobile homes installed in a holiday camp, which has a total of 1200 places. All these services are available to clients staying on Les Prairies, and in certain situations could also be available to people living in the area.